Happy Thursday! As I mentioned yesterday, my husband and I are going on a date tomorrow night to celebrate Valentine's Day. Our past few date nights have been super casual (Chick-Fil-A at a brewery and Hops Burger Bar). I love good food and I'm completely ok with casual dining... fancy places make me a little nervous, lol. My very first date with my husband was at a incredibly fancy authentic Italian restaurant over 10 years and we have been to very few places that fancy ever since. No matter where we end up, I'm excited to get a little dressed up to spend the evening with him. This dress from Sweet P and Fi is high on my list of contenders for the night! I absolutely love the fit and flare style to this dress. It's just so flattering! The neckline is gorgeous and I love that it carries over onto the back of the dress. And of course, I love anything gray! I paired this dress with brown over the knee boots, black leggings, my leopard clutch, and simple jewelry for a sassy date night look! This dress could also carry you into spring with neutral colored espadrille wedges and a colorful crossbody bag. 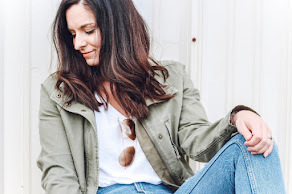 I love a good, versatile piece plus it's also available in taupe and it's only $32! Use my code STYLE15 to save 15% off at Sweet P and Fi. Have a great day, y'all! Dress | c/o Sweet P and Fi, use code STYLE15 to save 15% off. Such a cute dress! Loving the cut-outs and simplicity. Have an awesome date night! 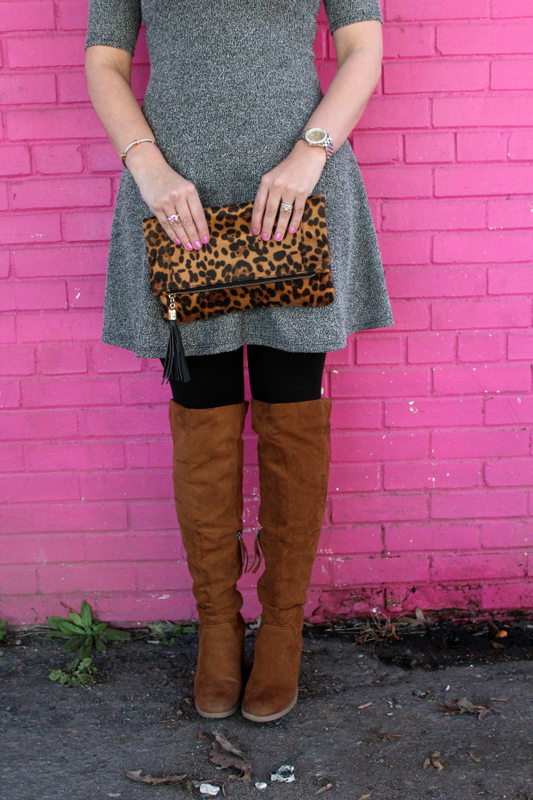 Love the dress and that leopard bag is a perfect accessory! Killing it girl! Love this flirty look on you! That bag is awesome! Such a great piece! It really adds a POP to your outfit! Gotta love animal print!